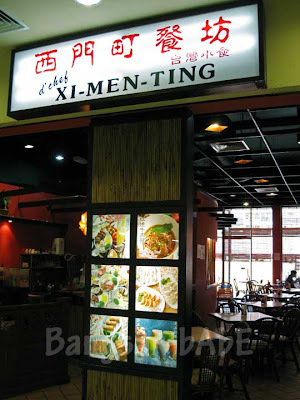 At South City Plaza last week, I decided to try Xi-Men-Ting, an eatery that serves Taiwan food and snacks. 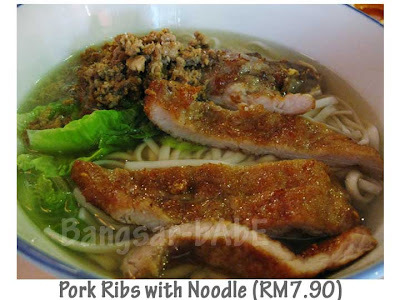 My mum and I ordered a bowl of pork ribs with noodle (soup) each, while her friend had the Yang-Chun Noodle with minced pork. I also got a plate of fried pork dumplings to share. Served on the bone, the pork ribs (more like pork chop) were moist, tender and well seasoned. Mum ordered her meat on the side, which was a better idea as it retains its crispiness. The thin and flat noodles were firm to the bite. It came topped with savoury pork mince, which gave flavour to the otherwise bland broth. You can opt for the dry version if you like. I didn’t try the Yang-Chun noodles, but it looked bland and boring to me. Mum’s friend asked for the pork mince to be served separately, which I have no idea why. 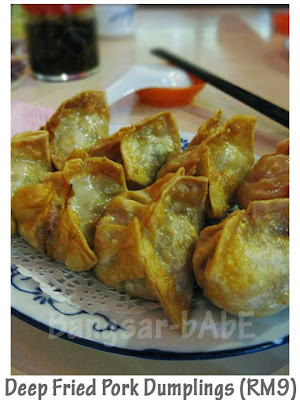 Deep-fried to a golden brown, the dumplings (8 pcs) were filled with minced pork and chives. I thought the skin was too thick and doughy; a bit too much of a chew. Verdict: Run of the mill food at affordable prices. 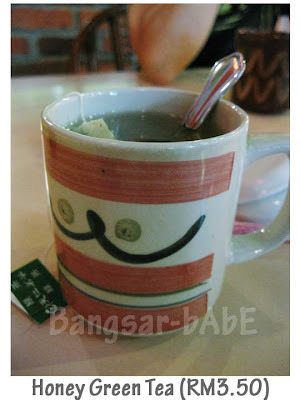 looks ok only..looks like u hav the habit of ordering extra items to share eh? I like the noodles in soup. Looks similar to Esquire. I can have a bowl noddles kosong to accompany the dishes! we always thought Taiwanwse food n girls are soft n tender ( like soft noodles , soft longbeans , soft brinjals , tender singers , delicate actresses etc ), but simply love their tough netbooks ! 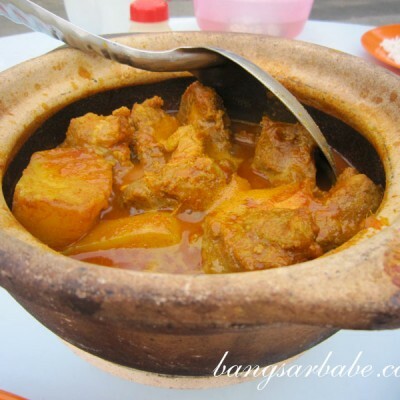 Joe – Ya lor…it’s ok only. Hi, nice blog you have. And the pork rib noodles look really delicious. 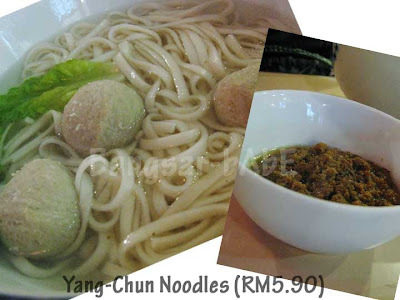 And yang chun noodles? Never heard of it, but looks interesting. You have fun and keep well, best regards, Lee. Uncle Lee – Thanks for dropping by!